2019 is your year for new experiences. We’re headed to Granada, and we can’t wait to have you join us! This trip will be like no other as we explore one of the Spanish cities with Black history dating all the way back to the 8th century. For 6 days and 5 nights, your trip will be filled with new knowledge, luxury and leisure, unforgettable experiences and deep connections that will last a lifetime. This is your chance to treat yourself, experience the Spain you’ve always dreamed of and find your tribe along the way. This trip will have a mix of intimate workshops on how to build a life you love abroad, unique experiences that you wouldn’t be able to create on your own, and a strong community of like-minded women who share your values and desire for a life well-lived. Sign Me Up for future Trips! Awesome, we’re adding you to the list so that you’ll know when we drop dates and info for upcoming trips! 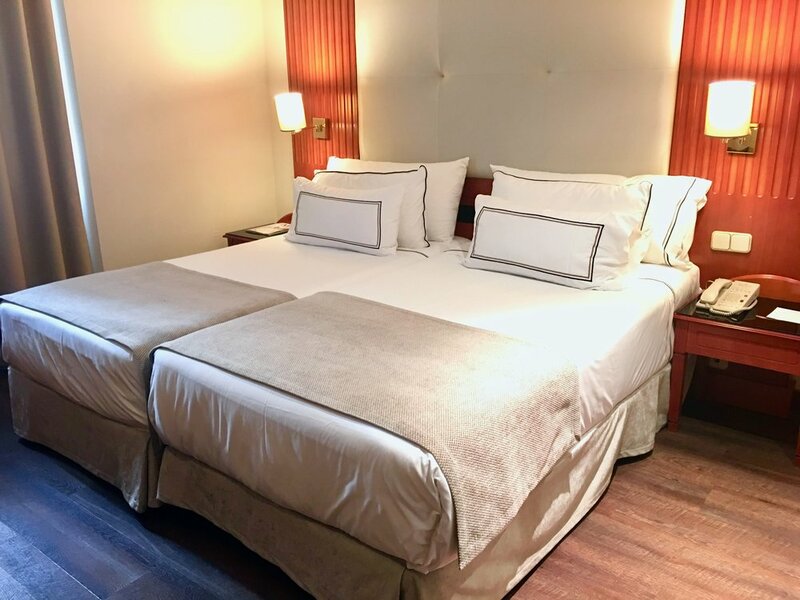 Located in one of the best and most breathtaking areas of the city, you’ll be able to disconnect and recharge while also waking up and feeling like you’re in paradise. With interior patios, natural light and amazingly attentive staff, you’ll feel right at home. We’ll explore the streets of Granada learning about the Black history in Spain that dates back to the 8th century. While learning about the history and culture we’ll have thought-provoking conversation on the way things have changed from then until now. You’ll be welcomed to an outdoor dining experience like no other. At one of the best restaurants in Granada, we’ll have a catered meal where everything is considered from the moment you walk through the door. During this time, you’ll have a chance not only to experience amazing Mediterranean cuisine but also get to connect with the tribe on a deeper level. The UNESCO world heritage site has so much more to share than its beautiful architecture and stunning views. 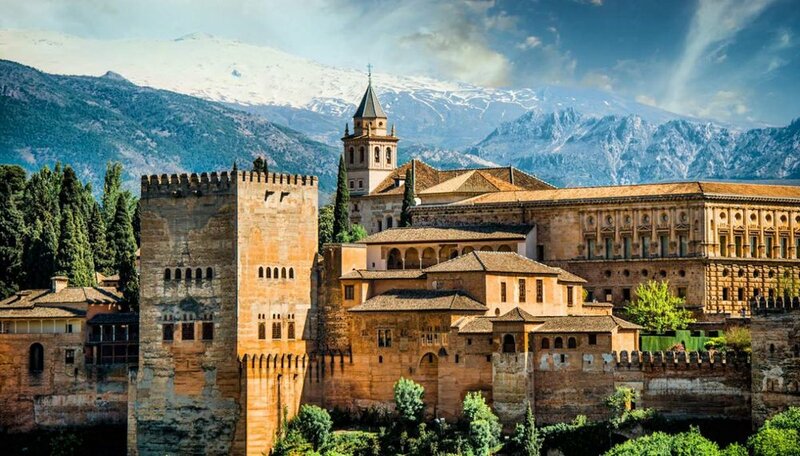 We’ll tour the Alhambra learning about the royal African history that it holds and how the country has evolved since then. The beauty of the region expands outside of just the city center. We will spend one day driving towards the stunning Sierra Nevada mountains to explore one of the most beautiful and intriguing parts of region. We’ll learn about the “casa cuevas”, where people have been living in caves for hundreds of years and finding out more about the history behind it. We’ll head to a world renowned vineyard that is at the highest altitude in Europe. This winery not only has some of the best selections in all of the country, it also has a long history and tradition that goes along with it. Cultivated with pure water from the Sierra Nevada and naturally harvested, you’ll not only learn about and taste these amazing selections but you’ll also learn about the village where it resides. Granada and tapa culture go hand in hand. Some would say Granada is the originator of the tapa! We’ll spend an evening heading to some of the most authentic restaurants in the city with locals to indulge in the best tapas they have to offer. Not only will the night be filled with an authentic experience but tons of wine and great food as well. Have an authentic Spanish cultural experience in a private flamenco class. From rhythm syncopations to bulerias, you’ll learn everything in this dance class which is then followed by an intimate dinner in a cave with a live show. It wouldn’t be an LMDES Getaway if there wasn’t intentional learning and connection involved. During our time together, we’ll have various workshops focusing on themes like building a life you love abroad, navigating Blackness in a different country and more. These workshops are a time for you to engage and reflect on where you are now and where you want to be. One of the most important parts of LMDES Getaways is the chance to connect and grow with other like-minded women who are also on a similar journey. During the week, you’ll have endless opportunities to find your tribe, create memories like no other and also grow personally with amazing women of color. Applications Now CLosed - Sign up For future trips here! You’re on the list to know all the information for future trips with LMDES! There is a high demand for this trip and space is limited so to make sure that we provide an intimate and authentic experience for everyone, applications will be accepted until we reach capacity. There is a 10€ application fee and once accepted, you’ll be sent a unique link to make your full payment or put down your deposit for the payment plan option. Your spot is only secured after you put down your full payment or non-refundable deposit.